First on the scene was a girl and after the first song appeared Alexander. 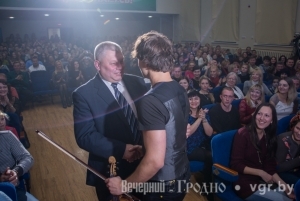 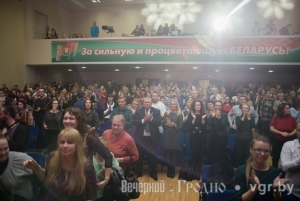 As soon as the applause died down, Rybak began to play on the violin, tunes familiar to his fans. 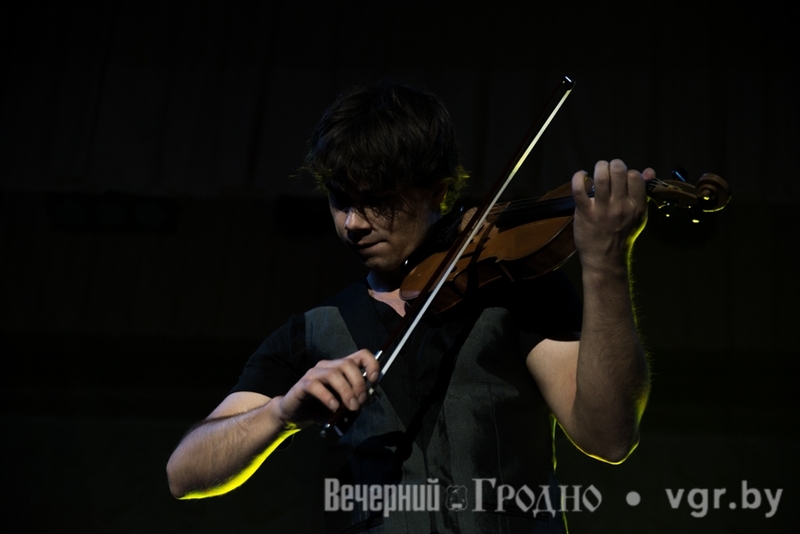 Especially pleasing to the audience, was the mix of the sound of the violin with elements of rock and roll. 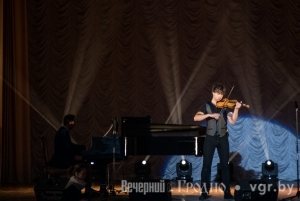 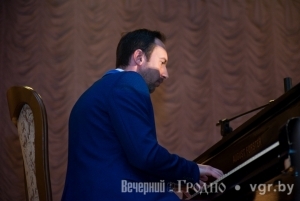 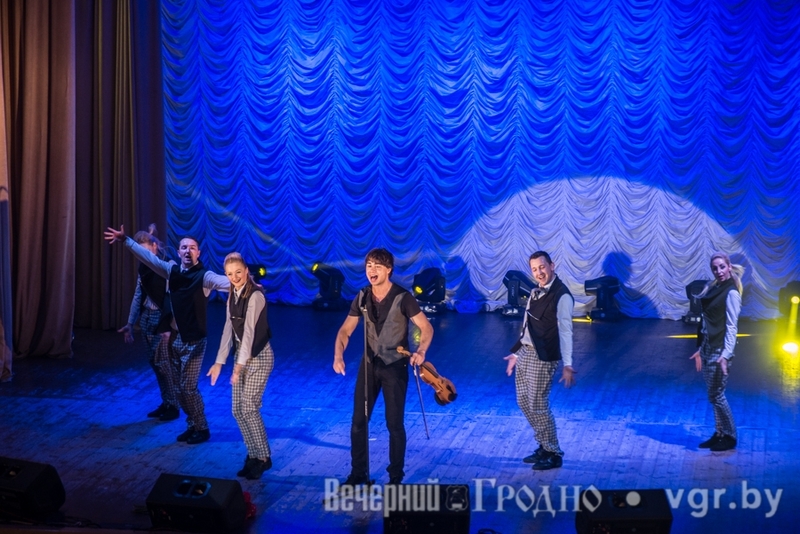 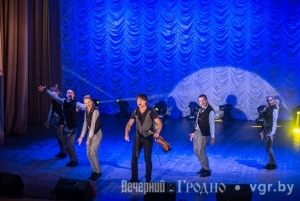 All the performance was accompanied by dance group support, and pianist Mikhail Orgesh. 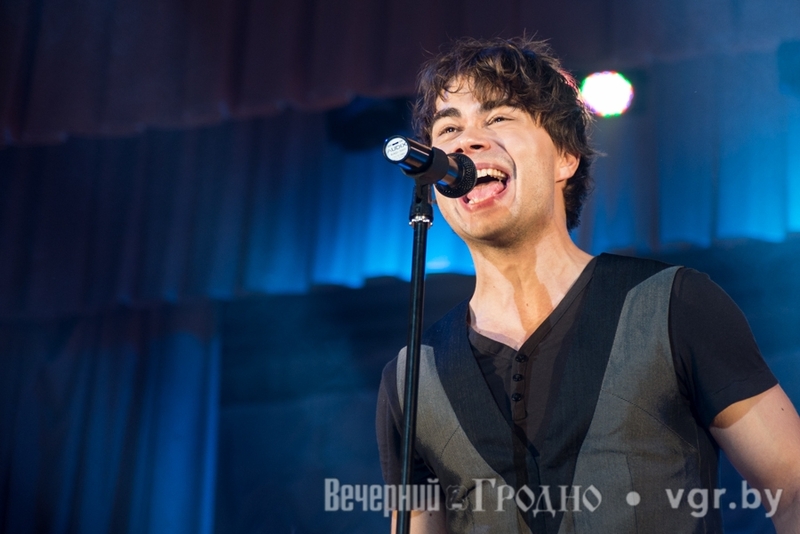 Between songs, the winner of “Eurovision-2009” was in constant communication with the audience. 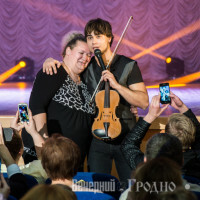 Alexander admitted to one of the girls that she was very similar to his former passion and learning that her name is Natalia too, he jumped down from the stage and danced with the young lady. 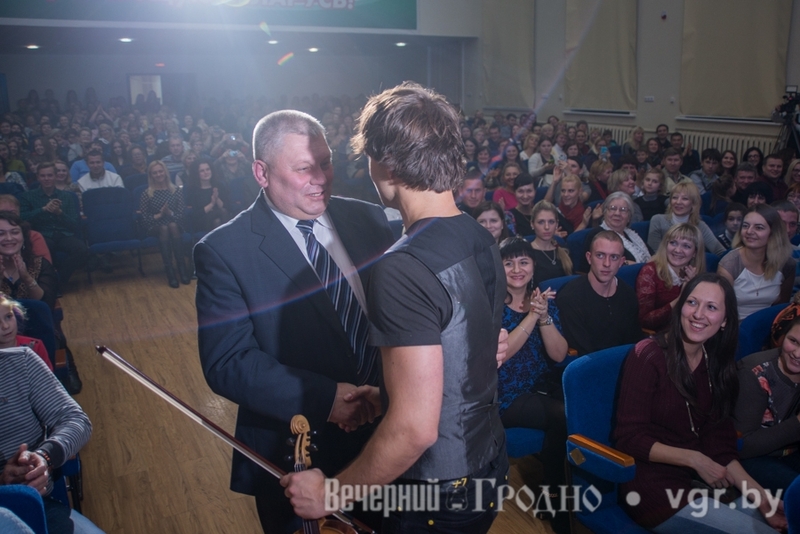 The Hall took it very warm. 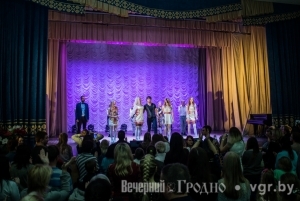 At the forefront, was organized a fan zone for the most active: Some girls were waving the flag of Norway, whith the portrait of the hero of the occasion, and they did not hesitate to dance during the performance. 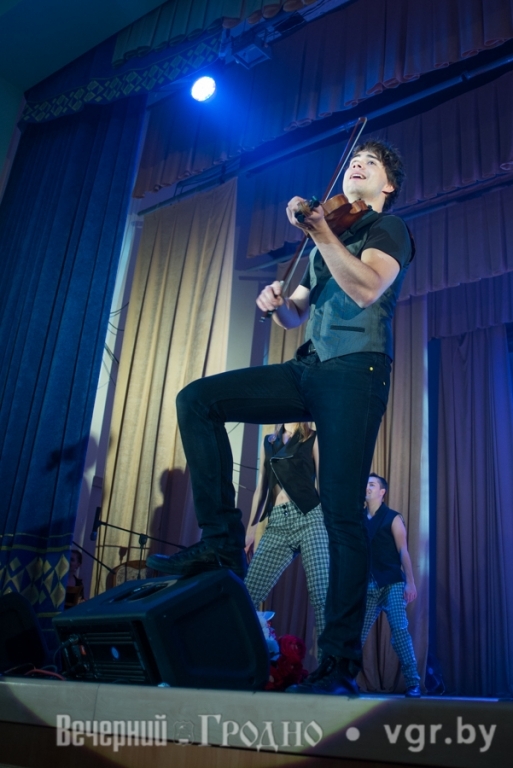 The audience stood up at the final composition Fairytale, which once brought victory to Alexander. 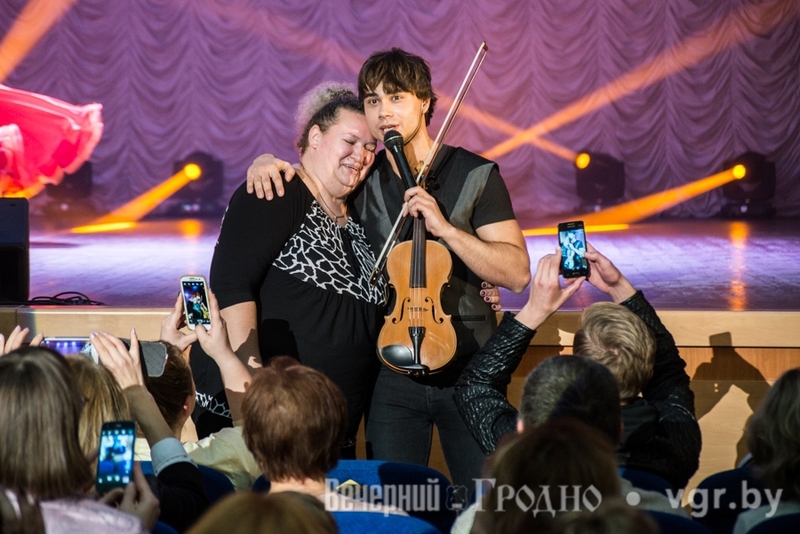 After the concert, fans were eager to meet their idol waiting for autographs and photo sessions. 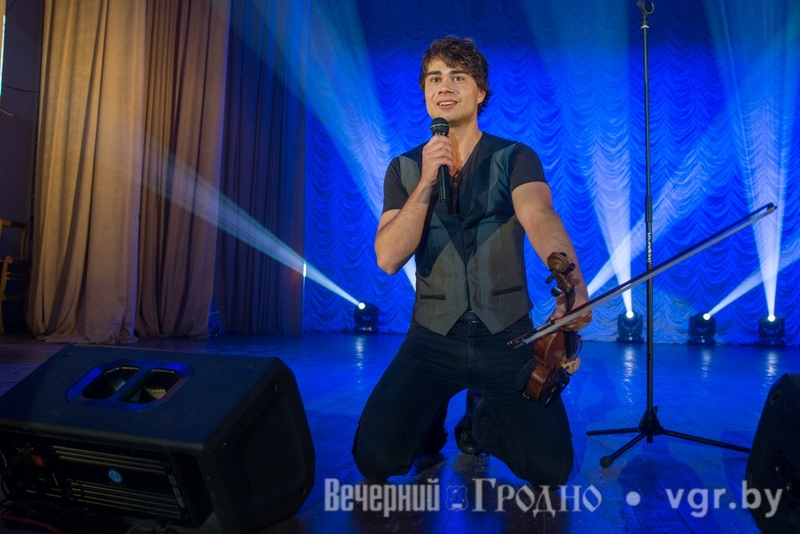 Alexander spent an hour talking to the girls and taking pictures with everyone. 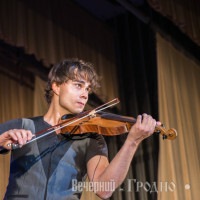 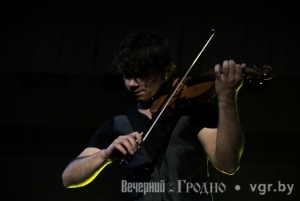 Alexander Rybak – winner of the “Eurovision-2009” held in Moscow. 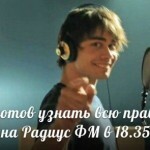 Born in Minsk, but almost all his life living in Norway, who he brought victory. 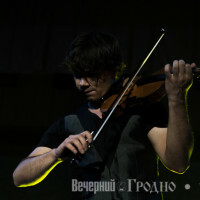 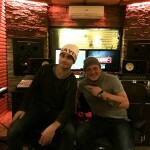 He maintains an active musical carreer in the CIS. 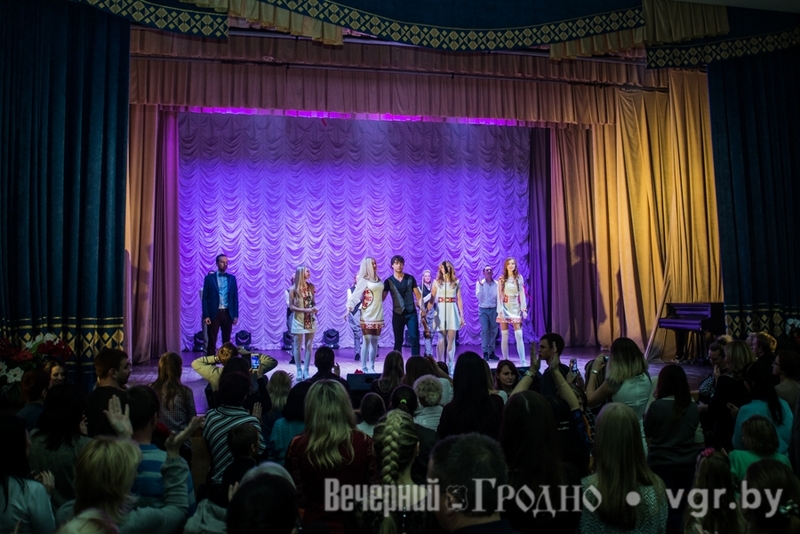 In the fall of 2014 he announced a casting to select young women to create a group and participation in Milki “Eurovision-2015”, representing Belarus. 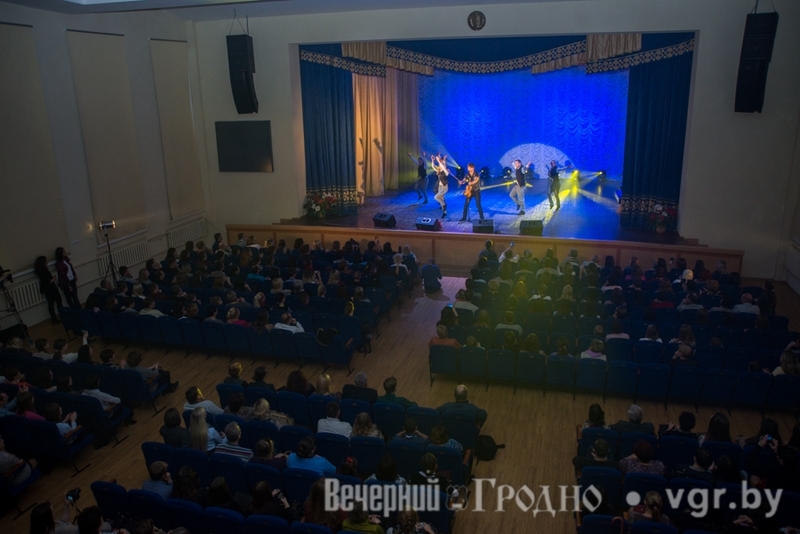 The lucky top five hit and a girl from Grodno – Victoria Nazarka became soloist in the vocal ensemble “Milki.” But in the qualifying round of the quintet to the surprise of all became third. 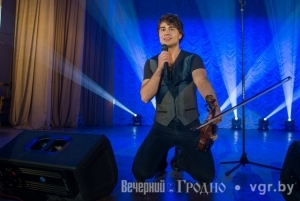 Alexander Rybak did not agree with the results.